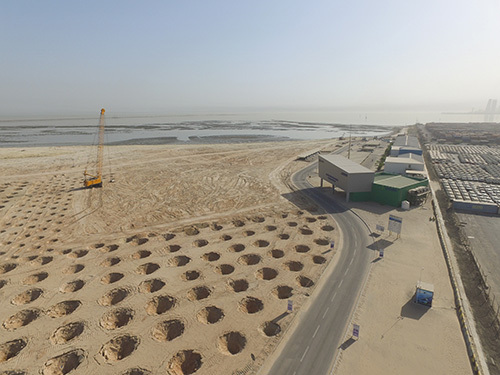 Jaber Al Ahmad project is a part of the Kuwait New Cities Project Development. 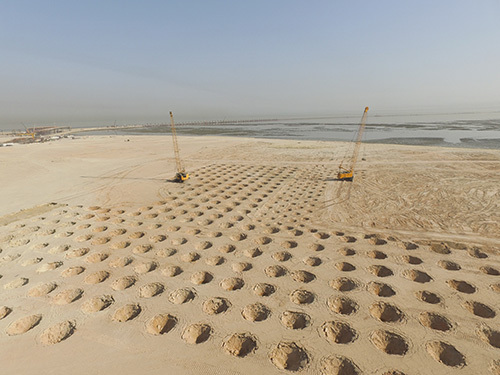 The project is located at 30 km away from the center of Kuwait City. 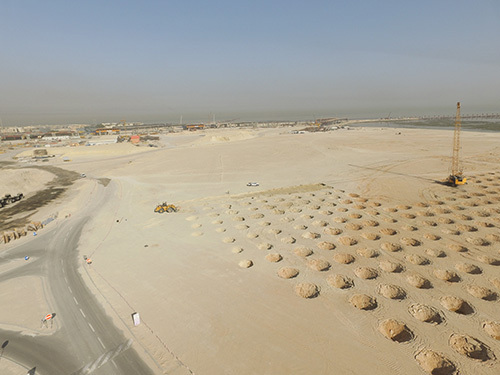 It involves construction of 4,134 villas, roads, 9 water towers, sewage pipelines & tunnels. The soil profile was composed of sand and sabkha layers. 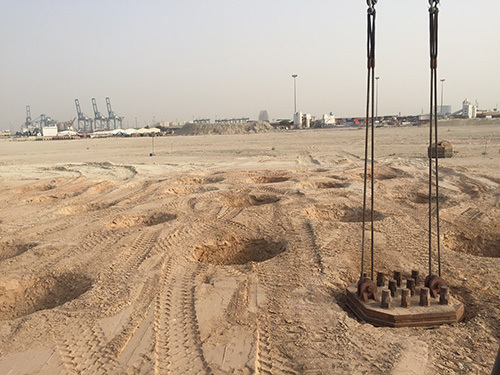 The specificity of the project is that we are encountering important variations of thickness of the soft soil from 0 to 9m on some parts of the project. Menard Vibro proposed the implementation of Dynamic Compaction and Dynamic Replacement techniques depending on the results of the pre-test campaign. 85% of the compacted area was mainly under Dynamic Replacement method. A variety of phases, pounders and number of blows were used in order to optimize the production. Approximately seven DC/DR cranes were working in order to complete this project in less than 540 days.